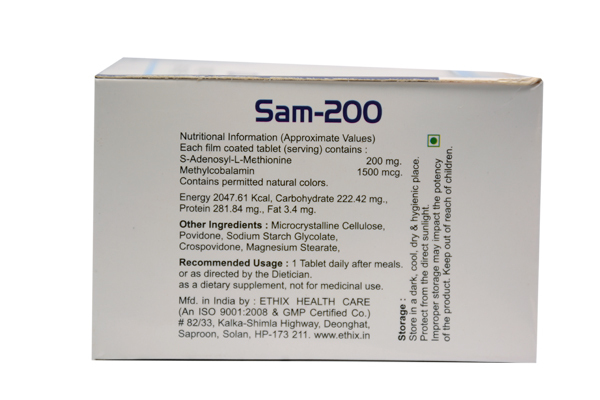 SAM-200 helps replenish your SAM-200 levels and promote a healthy mood. SAM-e (S-Adenosyl-L-Methionine) is naturally produced by your body and helps maintain healthy emotions. Various factors such as diet and aging can cause low levels of SAM-e, leaving you feeling unbalanced and moody.